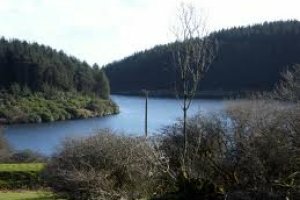 Rosebush Reservoir is a small upland brown trout fishery in the scenic Preseli Hills, owned by Hyder plc. It is currently leased to a small syndicate, but a limited number of day permits for boat and bank fishing are available. For further information contact, Visitor Centre, Llys-y-Fran Reservoir, Clarbeston Road, nr Haverfordwest, Pembs SA63 4RR or dial 01437 532732 or 01437 532694.